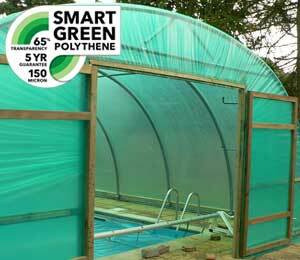 Growing your own is a not only a great source of fresh fruit and vegetables, polytunnel allotment gardening, is mentally fulfilling and rewards you with the chance to escape the pressures of modern living. Whether you're growing to exhibit or growing just for fun, there's no better place to be, down on the allotment when the wind and rain is battering your plot and you are cosily tucked up in your polytunnel refuge. 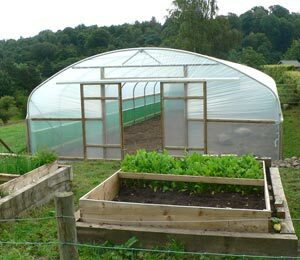 An allotment poly tunnel provides a place for children to learn where food comes from, healthy exercise and fresh air thrown in for good measure. It's wonderful to celebrate the successful fruits of your labours with family, friends and fellow plotters and nothing tastes as good as when you've grown it yourself! 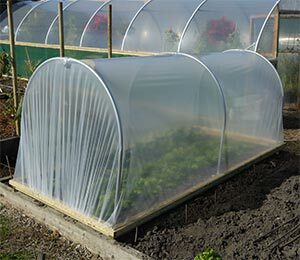 It can't have escaped your notice but throughout UK allotments, polytunnels are increasingly becoming more popular, in fact, our local allotment has no fewer than eight poly tunnels, and there are only sixteen plots. How to find an allotment? Allotment plots come in many different shapes and sizes, usually depending on the history of the area and the amount of demand for allotments locally. When allotment planning, in the first instance you should start by contacting your local council to find out where the nearest allotment sites are - this will most likely be your Parish, Town, Borough, City or District Council.. Next, (if you're very lucky) you will be allocated your own plot, or (if you're not so lucky) your name will be added to the waiting list if there are no plots available. 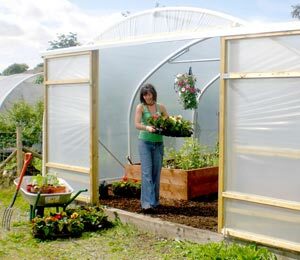 This guide is useful for growers looking to rent an allotment plot - Allotment plot holders guide. 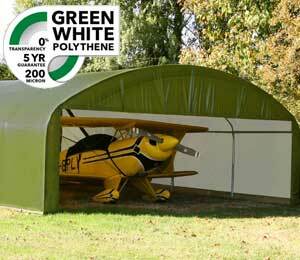 Do I need planning permission for allotment Polytunnels? 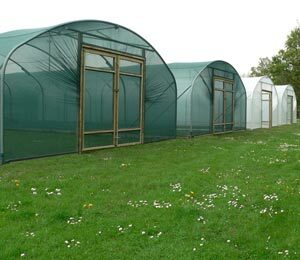 Allotments thrive on rules and regulations and as no two-allotment sites are identical, tenancy agreements and planning permission for polytunnel use can vary considerably between allotments in the UK. 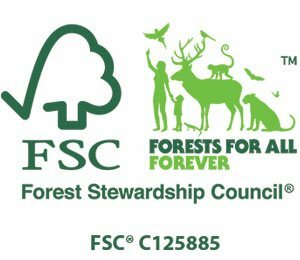 With this in mind, it's always best to check with your local allotment planning authority or site manager to see if you will need planning permission...just to be on the safe side. 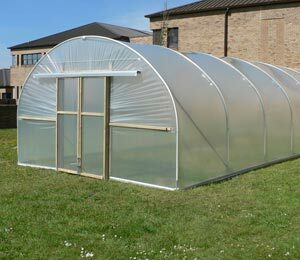 Which Polytunnel should I choose for an allotment? Well, that's a tricky question. The easy answer is...as big as your plot, but you may wish for an area to grow outside or the size maybe restricted by your allotment association. When planning an allotment, consider what type of crops you intend to grow, will you plant in traditional rows or use raised beds? 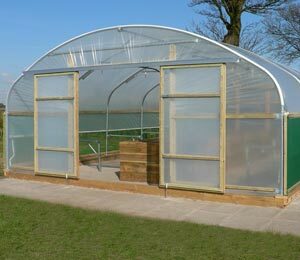 It's worth having a chat with some of the longer established allotment Polytunnel owners...saving you time and effort. 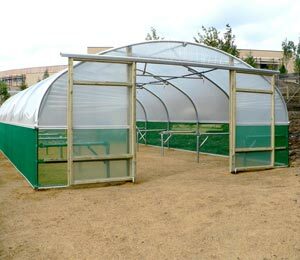 Have you considered a Communal Polytunnel? 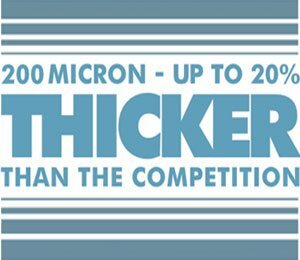 If you are looking to join the grow-your-own brigade and fancy yourselves as the next Barbara and Tom, you'll soon appreciate a polytunnel is worth its weight in gold as it shrugs off anything the weather throws at it! For allotment newbies, a plot can be quite a daunting parcel of land to cultivate on your own. 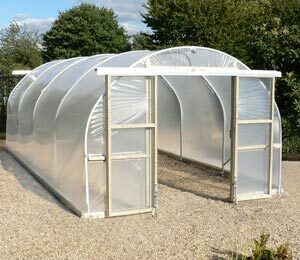 If it does seem a little too over facing, then you should ask if you could rent a half plot or, alternatively, share a Polytunnel with family, friends or fellow plotters. Renting a section of a plot or Polytunnel as opposed to a full one with like-minded people is not only a great way of sharing the work, its helps community spirit and it's the perfect way of getting the waiting lists down! 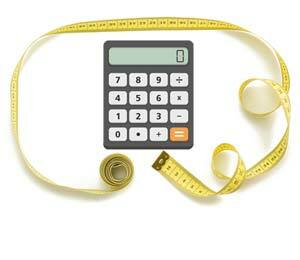 The more you put into it, the more you'll get out. 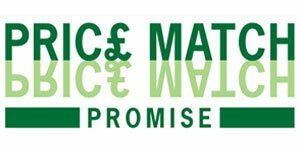 Check out this useful Allotment guide - Growing in the community. 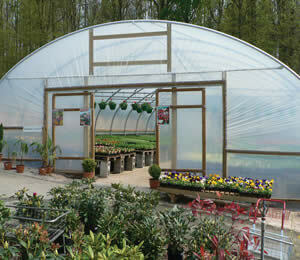 Can I arrange to have a polytunnel delivered to an allotment? The answer is yes, providing the allotment has a valid postcode...However, not wanting to beat around the bush, this could mean hanging around your allotment whatever the weather on the day of delivery, especially if access is required by a key holder...*TIP* Take a flask and a good book to read. 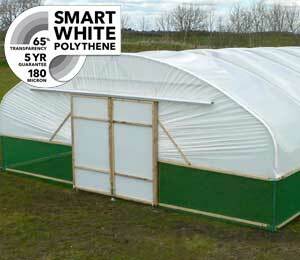 Allotment Polytunnels are generally despatched within 5 working days from receipt of order. With prior notification, we would always do our best to accommodate specific delivery requests to fit in with a scheduled day off work or a planned holiday (excluding weekends). 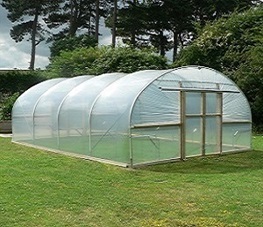 A polytunnel kit consists of a varying number of individual items of variable lengths determined by any additional options. 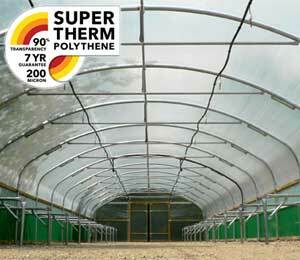 For our domestic Polytunnels we have the option of 2 or 4 piece hoop profiles, which should assist transportation to its final site. 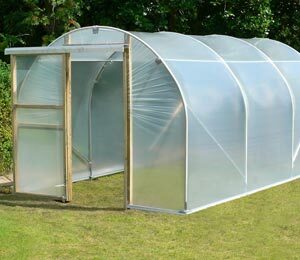 If you are not planning to construct your Polytunnel straight away, this would mean leaving your precious polytunnel in bits and pieces on your allotment plot until you are ready to build it. Is it safe and secure to be left unattended...that is the question? 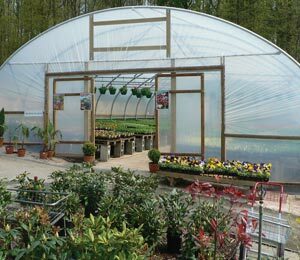 Most Allotment Poly tunnels can be transported in a car (depending on size) the longest length, number of items and feasibility can soon be established with a quick phone call to our dedicated team in the office on 01282 601253. 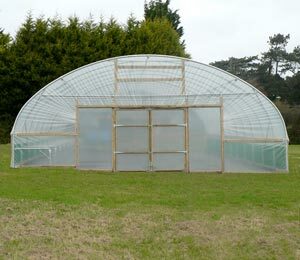 Our polytunnel installation actually started a couple of days before the guys arrived. They phoned to confirm when they'd be arriving and we discussed some of the 'challenges' they'd need to overcome on our site here which is on a windswept, exposed hillside. When the big day dawned, they arrived bang on time – no mean feat after a 3 hour drive into darkest rural Wales! I thought they might like a drink and a spot of breakfast before they started but they wanted to get going. It was the shortest day of the year, so daylight was at a premium. By the time I'd showed Mick where the tunnel was going, his mate Brent had the van unloaded and they were soon taking everything up to site, across the field. As they got down to the work, it was clear they knew exactly what they were at. They progressed incredibly quickly, hardly stopping even for a cup of tea, but they weren't rushing. They're just very experienced and efficient. There were problems with the site, for a start it wasn't as level as I thought. They didn't make a big deal of the problems, just got over them without a song and dance. We were lucky with the weather right up to the point where the skin went on when the wind came up and the rain came down. Even that didn't seem to slow them down although Mick did admit to being worried about the wind when they put the polythene over the hoops. Once they'd finished, they did take time for a proper cuppa and a chat. They gave me some good practical tips on laying things out in the tunnel and using it. Mick reassured me the tunnel would stand despite the very strong winds we get here. We've actually had 100mph gusts! And then to top everything off, they gave me a lovely surprise gift pack with a useful planting chart and books on making the most of the tunnel! I must admit I was sorry to see them go, a friendlier and more professional team you won't find. I wasn’t surprised by what a good a job they did – you expect that from a top firm like First Tunnels. 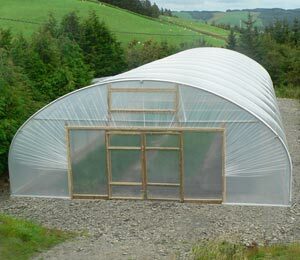 First of all, having seen it done, putting up a polytunnel is something most people can do for themselves. First Tunnels provide a lot of help and guidance, including videos. If you do hit a problem, they even operate a help line to get you through. At the time I had an injured leg and would have struggled to cope. I'd have needed help at least. 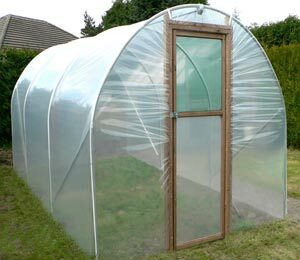 Even fit, constructing a polytunnel is not a one person job, no matter how good at DIY you are. This was a large tunnel, 16 feet wide and 24 feet long and a bit daunting even with all the help and guidance. 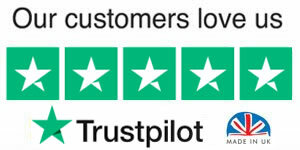 Having it professionally installed ensured the job was done properly. With the winds here being so strong, proper installation is critical to it surviving. Time. I've got a busy life and time is difficult to find. 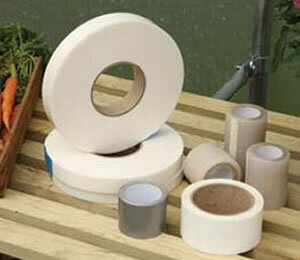 First Tunnel's professional installation service usually have a tunnel up in a day but they're experts. It would have probably taken me three days and that's assuming no mistakes along the way.